April 3, 2012 – Journey to my heart…. 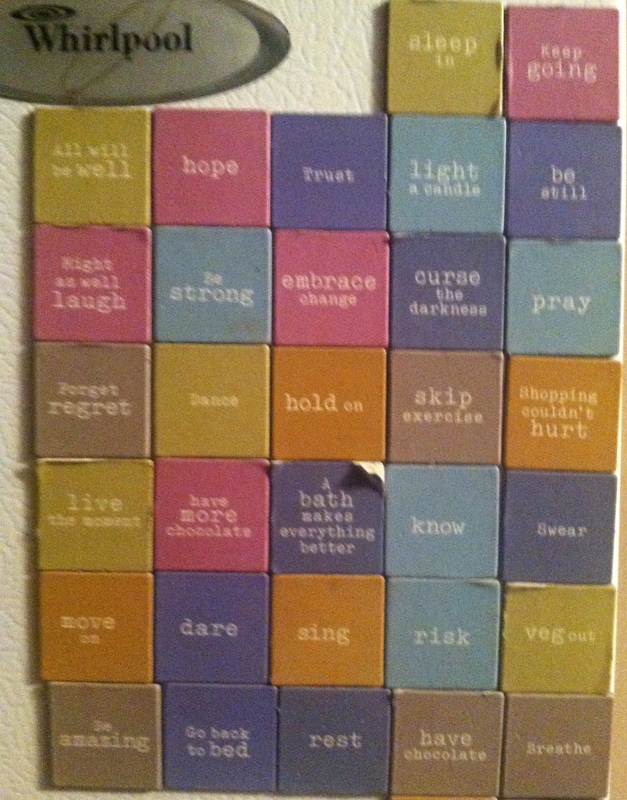 Recently my nephew Peter stood at my fridge and asked me if the picture below was my weekly plan…. I had to smile and consider the wisdom in his question. I believe the words in this weekly plan may fit me better than the plan of structure and routine I often strive for…. Go and live well and have fun living!